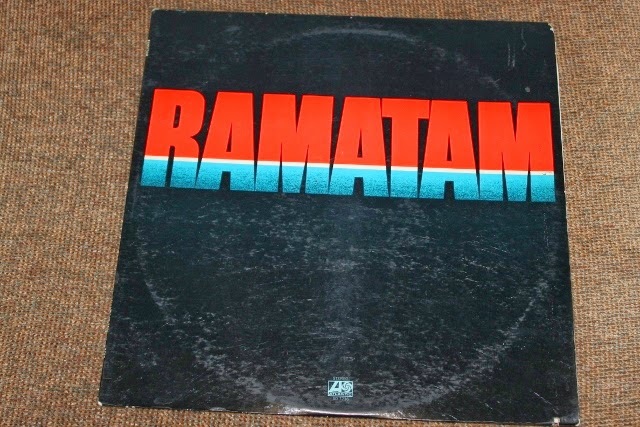 Maritime Vinyl: Classic Music: Ramatam! Ramatam had the potential to be something huge. It was a mini super group created by Atlantic Records that hoped to sell records based on the members’ past successes. First off, we have Mike Pinera on lead vocals and guitar. Mike was formerly a member of The Blues Image and Iron Butterfly (and would go on to be Alice Cooper’s guitarist from 1980 to 1983). The Jimi Hendrix Experience was one of the greatest rock ‘n’roll bands in the world, especially up to this point in the early 70’s. 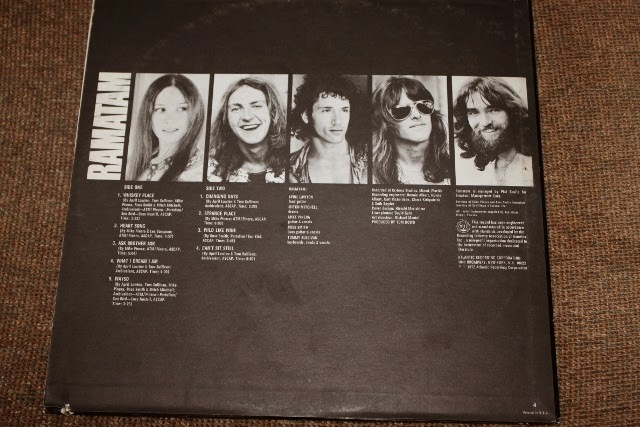 Ramatam had Experience drummer Mitch Mitchell on the skins, which (as in every band he has performed with) forms the glue that held everything together. He is one of my all-time favorite drummers. While lead guitarist April Lawton didn't have as an impressive of a resume like the former, Atlantic was hoping having the rarity of a female guitarist could also help sell some records. She was awesome, pulling off riffs that would make Hendrix himself proud. While she plays a bit conservatively at times, it seems to be a conscious choice. She will fade away in the background leaving way for the horns to do their thing, but when it’s time for her to solo, watch out, all eyes are on her. Finishing up the group was Russ Smith on bass and Tommy Sullivan on keyboards, reeds and vocal. Reading past reviews, people were initially disappointed with this album, complaining that the horns were muddy in the mix and the song writing was only mediocre. 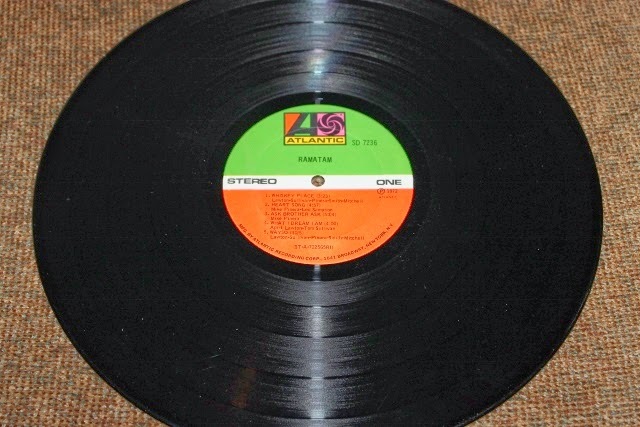 While the production has room to be improved, it’s not an overly bad sounding LP. Once you learn that the producer was Tom Dowd, whom at this point was responsible for production and/or engineering of some of the greatest sounding albums including: Derek and the Dominos’ Layla, John Coltrane’s Giant Steps, Allman Brothers’ At Fillmore East, as well as albums by Ray Charles, Charles Mingus, The Drifters, etc..., you realize why people had high expectations and he didn't quite meet them. It’s a good sounding album, just not Tom Dowd good. It may have been slammed a bit upon initial release, but this album sure has aged well. It’s an enjoyable listen through; I prefer side B a bit more with the slower song Changing Days leading it off. While Changing Days lacks Mitch Mitchell on the drums, he comes back full tilt on the second progressive mid tempo song Strange Place (my favorite song from the album). This album is definitely worth picking up. They got me curious of the sound of their second and last LP, In April Came the Dawning of the Red Suns, but at this point Mitch and Mike had left so I’m sure it’s a complete different sound. But still, April’s guitar playing alone is enough for me to give it a shot.